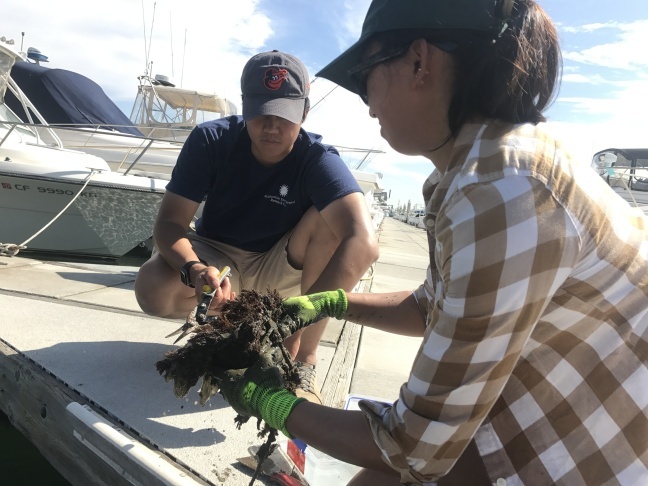 Smithsonian scientists Andy Chang and Elena Hunynh pull up plastic panels covered with marine life from Peter's Landing Marina in Huntington Beach. 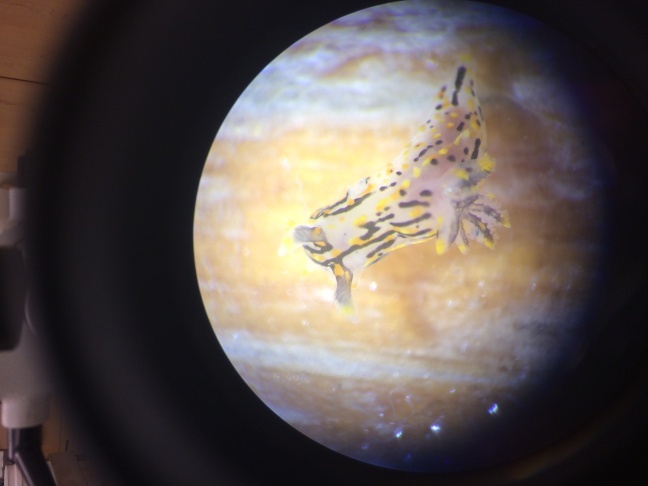 Scientists use microscopes to identify species such as this sea slug called polycera atras. It was early morning at the Peter’s Landing Marina in Huntington Beach. Walking among the boaters was marine biologist Andy Chang. He'd only been there a little while, but he'd already found something interesting. He pointed to the harbor wall — a gray concrete slab across from the boat docks. "First thing I saw when I came in here was all of these giant ... sort of shelly, white blobs on the seawall," he said. These white blobs are the introduced Japanese oyster. It's an invasive species first introduced here by cargo ships, but now they've spread to recreational harbors like Peter's Landing. Chang was surprised to see how many of them are splayed across the harbor wall. "It was just sort of a stark reminder of what we’re here to do," Chang said. 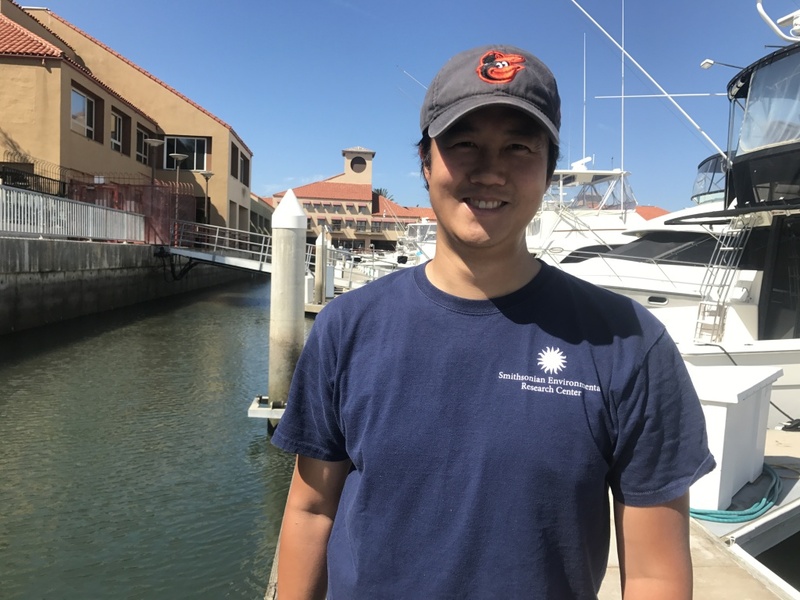 Smithsonian scientist Andy Chang is part of a team surveying 20 local harbors and ports to monitor marine invasive species. 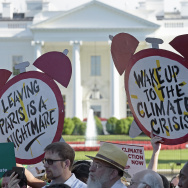 Chang is with a team of scientists from the Smithsonian Environmental Research Center, based both north of San Francisco and outside of Washington, D.C. They've been contracted by the California Department of Fish and Wildlife to survey locations in and around the ports of L.A. and Long Beach. Past surveys on the number of invasive species in local waters have varied widely. A survey from the ports of L.A. and Long Beach in 2014 identified 27 non-native species in the area. But data from Fish and Wildlife shows that as many as 114 species have been found in the area in recent years. These differences exist because these surveys tended to be point-in-time snapshots in limited areas. The current survey by the Smithsonian scientists hopes to get a more accurate picture with a longer sampling period and more locations. According to a Fish and Wildlife study, almost 80 percent of non-native species found on the West Coast were first sighted in California. 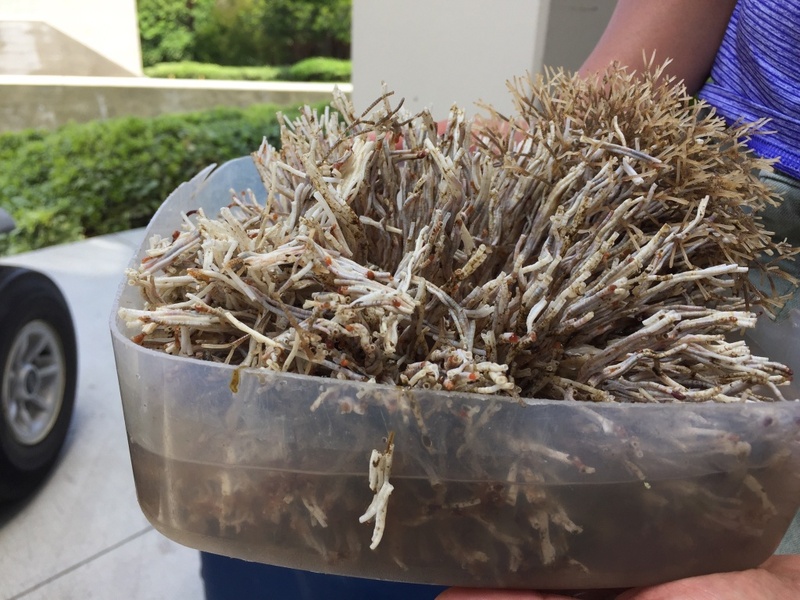 Steve Foss with the marine invasive species program at Fish and Wildlife said that San Francisco has traditionally been the state's invasive hotspot, but that the department is shifting focus to ramp up surveys at the Southern California ports. "With climate change, we're seeing warmer waters to Southern California, and so these harbors might become more attractive to invasive species," he said. Warmer waters might lead to a northward expansion of non-native species — possibly from Mexican waters — up to California, Foss said. "It creates the potential for new introduction," he said. Three months ago, Smithsonian researchers hung plastic panels off 20 local docks including the Port of Long Beach. Now, Chang and his colleague Elena Huynh were at the marina to pull them up. Andy Chang points to various specimens - some marine invasive species - growing on the plastic collection plate. The panels hung by a rope a few feet down into the water, weighed down by a brick. Huynh carefully sliced through the zip ties holding the brick to the panel and cut it free from the rope. Once she extracted the panel, she scraped off as much mud as possible and placed it into a dish of fresh water. 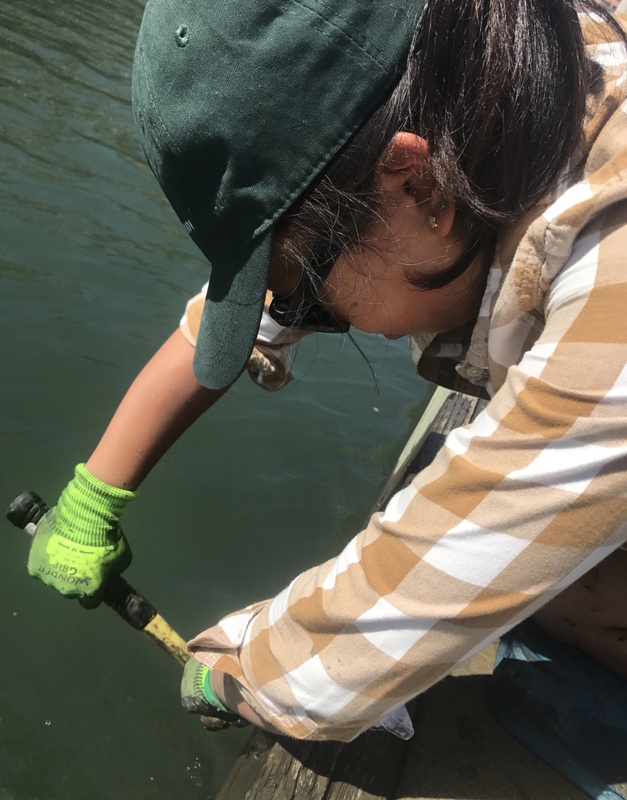 The word invasive seems sinister, but what these scientists pull out from the water looks a lot like everything else here: green, squishy and covered in mud. The ways these plants and animals get here aren’t exactly malicious. You might have heard about ballast water. Cargo ships fill their holds with seawater to stay balanced, but that water can also carry invasive species. Since 1999, ships have been required to either retain ballast water or discharge this water at least 200 nautical miles away from shore — and over 90 percent of them do. Elena Huynh uses a tool to pull up a plastic panel. But invasives remain a problem well beyond the ports. Researchers say recreational boating also plays a part. Small vessels can spread around species that have been introduced by cargo ships. So you might think small boats also have strict regulations. But they don’t. At Peter's Landing, Todd Larson and some friends started a boat engine at a central dock. I asked Larson if anyone’s ever talked to him about marine invasive species. "Nope, never, never," he said as his companions idled the boat nearby. It was clear he knows his boat carries around marine life, but it’s expensive to maintain — he pays up to $500 each time it gets cleaned. "'Boat' stands for 'Break Out Another Thousand,'" Larson said, laughing, before turning back to his friends. Steve Foss from Fish and Wildlife said freshwater boating in lakes and inland waters requires watercraft inspections to prevent the spread of quagga and zebra mussels — invasive species that pose an economic threat to California. But similar guidelines don't exist for marine recreational boating. There's another less-obvious way invasive species gets introduced —and it’s cost California millions of dollars. A Smithsonian scientist holds a container of invasive tube-building worms called serpulids. Tom Ford heads up the Santa Monica Bay Foundation and focuses on marine invasives. He said we can put some blame on Disney’s 2003 hit film "Finding Nemo" — the story of a fish trapped in a dentist's aquarium who gets returned to the ocean. "'Nemo' happened and everyone said 'Right, you know, free 'em,'" Ford said. "'Little Nemo is stuck in the tank, I want him to get out.'" Ford said that after "Finding Nemo" was released, people started flushing fish and plants down the drain, or taking them to the ocean and dumping them in. It led to a pulse of invasion around the country. A study from UC Davis found that aquariums contribute to a third of the world’s worst aquatic and invasive species. But what about here? The ports of Los Angeles and Long Beach conduct semi-regular studies in their waters. Their most recent report shows the number of invasive species grew at the ports, from 10 identified in 2006 to 27 in 2014. But they say the percentage in relation to total species has remained pretty consistent. 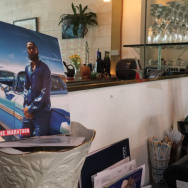 That's good news, said Kat Prickett, an environmental specialist at the Port of L.A.
"What is here seems to be finding a way to work into the ecosystem," she told KPCC. But Fish and Wildlife’s online database shows 114 non-native species have been observed over time at the ports. 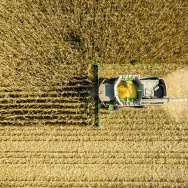 It’s clear that surveys are only capturing a snapshot of what’s really out there — and there’s a fine line between control and chaos. 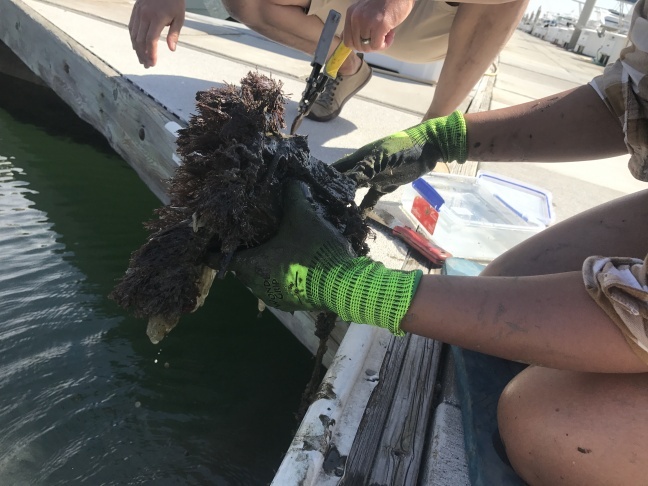 "There’s a very invasive species that’s been seen in the region never, here at the port, and when it does take hold, it can be absolutely devastating," Prickett said. She's talking about Caulerpa. It's a grass-like algae that grows up to an inch per day, choking out all other living things in the water. Local divers spotted it in Huntington Harbor and elsewhere in 2000. The BBC even reported about it for a segment on "Killer Algae." It was a popular aquarium plant — and Prickett thinks someone dumped it from their tank. It took California six years and over $7 million to eradicate. But sometimes money can’t beat biology. "If we find it, it’s going to be a new world," Prickett said. "Everybody just is crossing their fingers that that type of thing doesn’t happen." 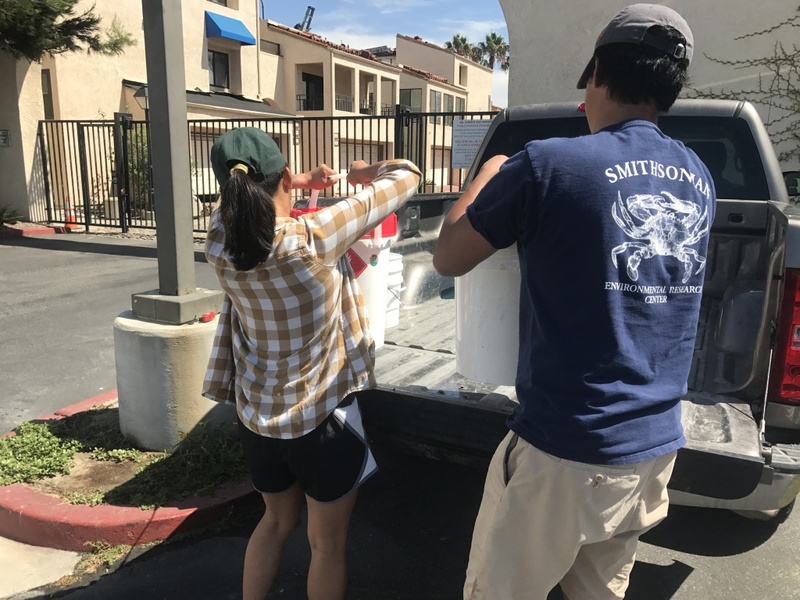 Scientists Andy Chang and Elena Huynh load their truck with samples from the marina. Back in Huntington Beach, the Smithsonian scientists were leaving the Marina. They packed up their truck and got ready to bring marine samples back to the lab. It’s a short drive from the Marina to their lab at the Cal State Long Beach campus. They rented out space for two weeks in the school's science building. Armed with microscopes and tweezers, Elena Huynh started pulling apart her findings. 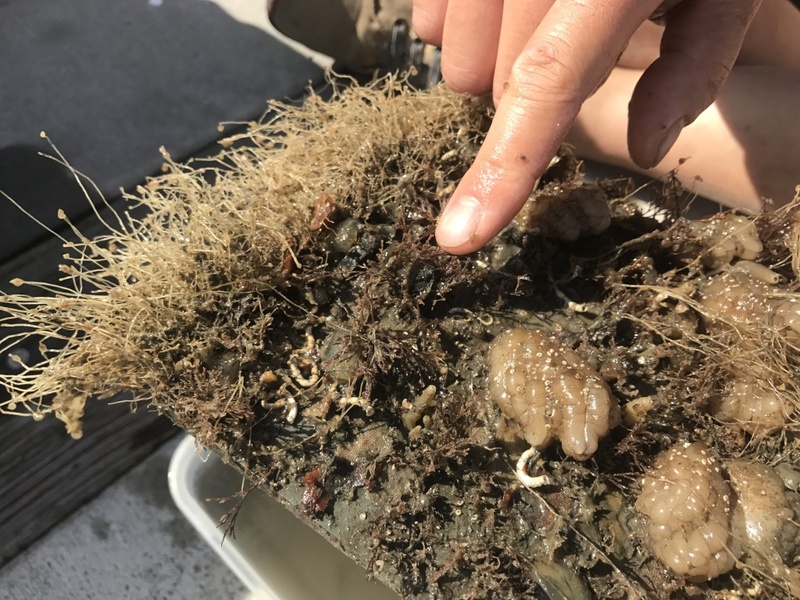 "Everything different that we find, we try to collect and preserve," she said as she wrestled with disentangling samples — two short, stubby tunicates — under her lens. Huynh joined a small team of scientists seated at microscopes inside the lab, carefully documenting their subjects. A large whiteboard tracked the type and number of species found in each survey location. KPCC checked in with researcher Andy Chang a few weeks after his team pulled their samples out of Peter's Landing. The team’s initial findings were sobering, he said — non-native species dominated every site they surveyed. Findings like this trouble Chang. "We’re kind of losing that unique character of each location," he said. "For myself, as a biologist who studies nature, that’s a great loss." #ISeeChange: Why are mosquitoes getting worse?